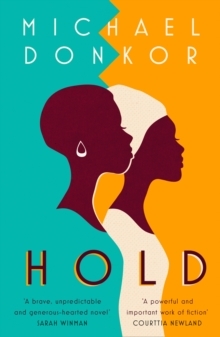 Moving between Ghana and London, Hold is an intimate coming-of-age novel. It's a story of friendship and family, shame and forgiveness; of learning what we should cling to, and when we need to let go. `An unpredictable and generous-hearted novel' Sarah Winman `A powerful and important work of fiction' Courttia Newland `Michael Donkor is the freshest new voice in Black British literature, and Hold crosses borders and brings Ghanaian culture to life in Britain' Derek Owusu, author of Safe Two girls, two different worlds, one unexpected friendship. Belinda is everything a good Ghanaian housegirl should be. Diligent and uncomplaining, she knows exactly how to follow the rules. Amma has never been a great one for rule-keeping. And when her parents meet Belinda on a visit from England they suspect she might be just the shining example their wayward teenager daughter needs. So Belinda must leave behind her old life and travel to London to befriend a girl who shows no desire for her company. But in this bewildering city, surprises are waiting down every bus route, and when the cracks in Amma's defences open up, the secrets they have both been holding onto are brought into the light.